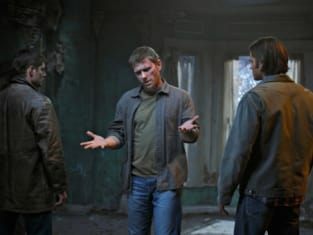 Supernatural Season 5 Episode 22: "Swan Song"
The Impala, of course, has all the things other cars have... and a few things they don't. But none of that stuff's important. This is the stuff that's important. The Army man that Sam crammed in the ashtray--it's still stuck there. The Legos that Dean shoved into the vents. to this day, heat comes on, and you can hear 'em rattle. These are the things that make the car theirs. Really theirs. Even when Dean rebuilt it from the ground up, he made sure all these little things stayed. 'Cause it's the blemishes that made her beautiful.